The 69th annual Medford-Vincentown Halloween Parade is set for Saturday, Oct. 24. The parade is scheduled to begin at 7 p.m. The rain date is Sunday, Oct. 25. With marching bands and cheerleaders, princesses and fireman the parade is a family friendly site to see that has become a mainstay of Medford. Organizers are expecting more than 30,000 spectators to come watch costumed marchers, floats, antique cars, fire trucks and local bands. The parade will gather at St. Mary of the Lakes School on Route 70, proceed down Fire House Lane, turn right onto Main Street and end at the Haines Sixth Grade Center on Stokes Road. Registration for participants starts at 5:30 p.m. in front of St. Mary’s School. All floats must have a Halloween theme and will line up at the school beginning at 10 a.m. They will be judged and grouped into seven categories: commercial, civic and service, individual, community, school, church or religious and Scouts. 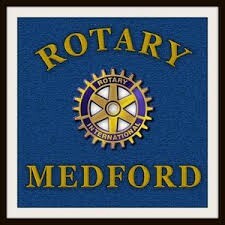 For more information about how to become a sponsor or participate in the parade, please visit medfordhalloweenparade.com.